Pinjore Heritage Festival proudly exhibits the culture and tradition of Haryana. The event is largely a cultural flux, wherein artists from all over India gather to exhibit their art and make the event successful. During the Kurukshetra Festival in Haryana, the pilgrims all gather to take a holy dip in the Brahma Sarovar and the Sannehit Sarovar, the waters of which are considered sacred. Summers can never be complete without a good feast on delicious mangoes. The people of Haryana know it well and the Mango Festival in Haryana is a testimony to that. It takes place at the Yadavindra Gardens in Pinjore. This place is about 20 kilometers from Chandigarh. The visitors at the Mango Festival get the chance to taste all the different and traditional varieties of these summer fruits during this festival in Haryana. Along with the mangoes, there are also the latest hybrid fruits from the different agricultural universities. A number of theatre groups also participate in the festival to add more zeal to the Mahabharata Festival at the Kurukshetra. There are also other cultural events such as Bhajan recitals, the ‘beautiful ‘Aarti’. And the ‘Deep Dan’ that happens at the Brahma Sarovar holy water tank at Haryana. All of these events are memorable and a poignant experience for all participants. The Mahabharata Festival in Haryana is thus essentially a cultural festival. There are striking classical and folk dances as well as troupes who come from all over the country and give brilliant performances based on the theme of the epic Mahabharata. 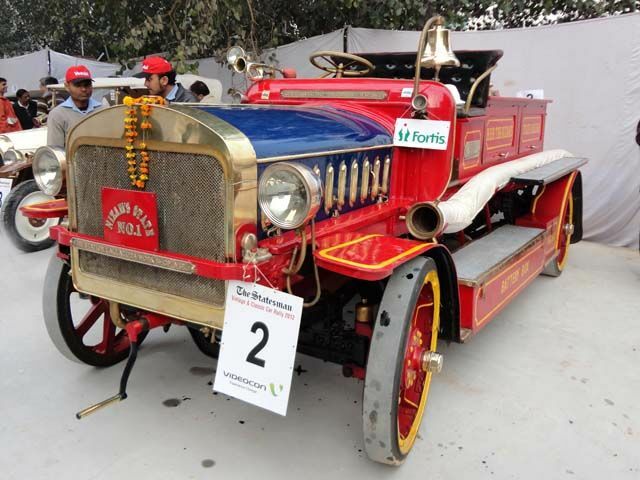 The best part about the Sohna Car Rally is that it gives one the rare opportunity to see so many motoring glories of the past. All these old cars which stormed the roads at one point of time now vie with each other for the coveted honors. There is strong competition in every field right from restoration to maintenance to performance. Many trophies are kept to be distributed. Surajkund Crafts Mela is an annual event that is organized on a large scale by Haryana Tourism from 1st to 15th February. The fair is aimed at bringing to light the enormous talent of artisans and craftsmen in India who display their exquisite handlooms and handicrafts before a large audience at the fair. Every product is artistically produced after much painstaking effort and is truly a masterpiece.